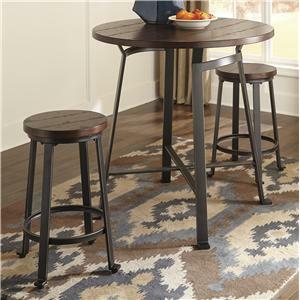 The top of this bar stool features a distressed planked pine veneer seat that is paired with the stylish look of an industrial inspired metal base in a blackened pewter color finish. 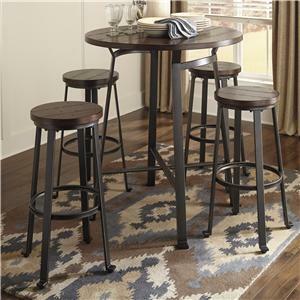 Update a bar height counter or add hip seating to a dining space with this tall stool. 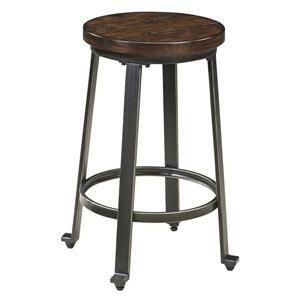 The Challiman Industrial Style Armless Tall Stool by Signature Design by Ashley at VanDrie Home Furnishings in the Cadillac, Traverse City, Big Rapids, Houghton Lake and Northern Michigan area. Product availability may vary. Contact us for the most current availability on this product. 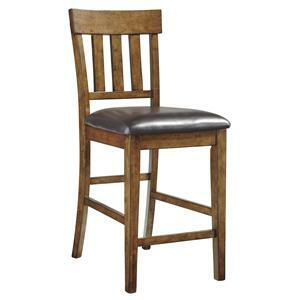 The modern industrial styling of this casual dining collection evokes vintage charm. 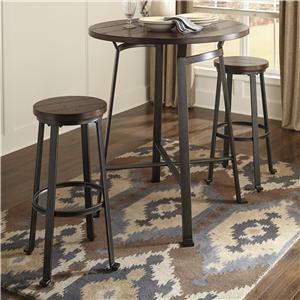 Bar shaped tubular metal in a blackened pewter color finish contrasts nicely with the planked pine veneer on the table tops and stool sets. 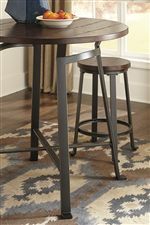 Cross saw style distressed details and a dark brown finish carry through the vintage look. 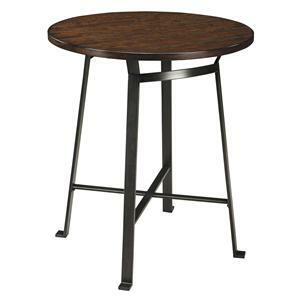 Counter height or bar height options are available, so you can find the right choice for your home. 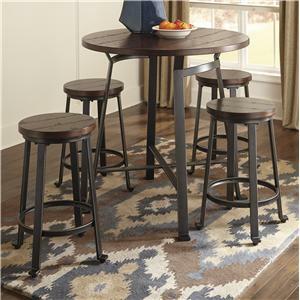 The Challiman collection is a great option if you are looking for Casual furniture in the Cadillac, Traverse City, Big Rapids, Houghton Lake and Northern Michigan area. 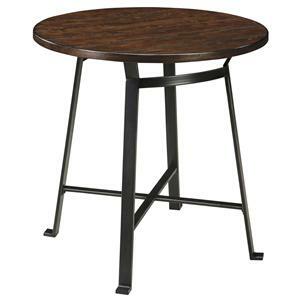 Browse other items in the Challiman collection from VanDrie Home Furnishings in the Cadillac, Traverse City, Big Rapids, Houghton Lake and Northern Michigan area.